The origins of the OMNI Group go back to the year of 1988 as a small helicopter company dedicated to aerial work. In the early 90’s it started other activities like aerial Medevac Services and airplane operations. Since 2000 the fixed wing operation registered a dramatic increase both on regional turboprop operation, VIP Charter and Long Haul charter for tour operators. On the other hand, the significant growth of the helicopter business in Brazil let to the creation of OHI - OMNI Helicopters International, a new company where OMNI is now a shareholder. Today the group has 5 AOCs (Air Operator Certificate) in Portugal, Brazil and Cape Verde. 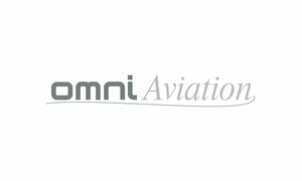 OMNI is one of the leading aviation groups in Europe, operating more than 65 aircraft (airplanes and helicopters) with 800 employees and a turnover of 180 million EUR.